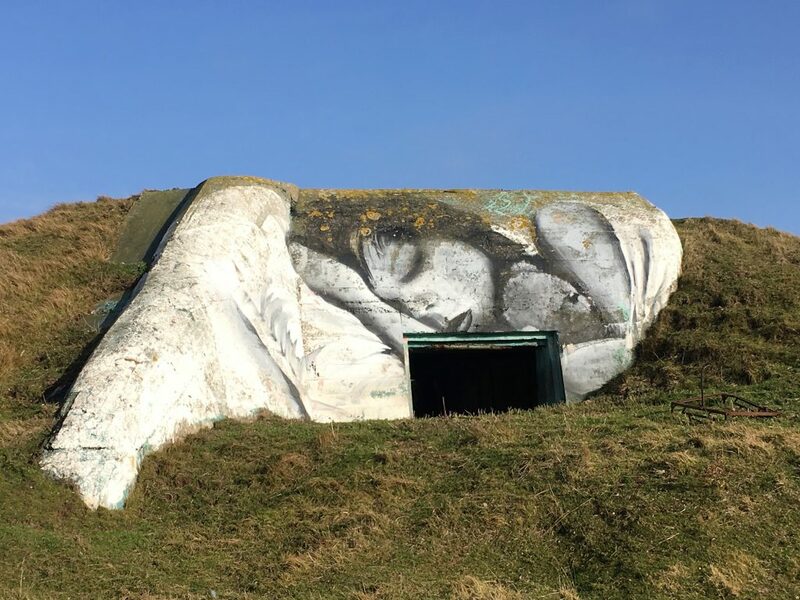 When we think of white cliffs it is of course Dover that springs to mind, and probably bluebirds and Dame Vera Lynn. 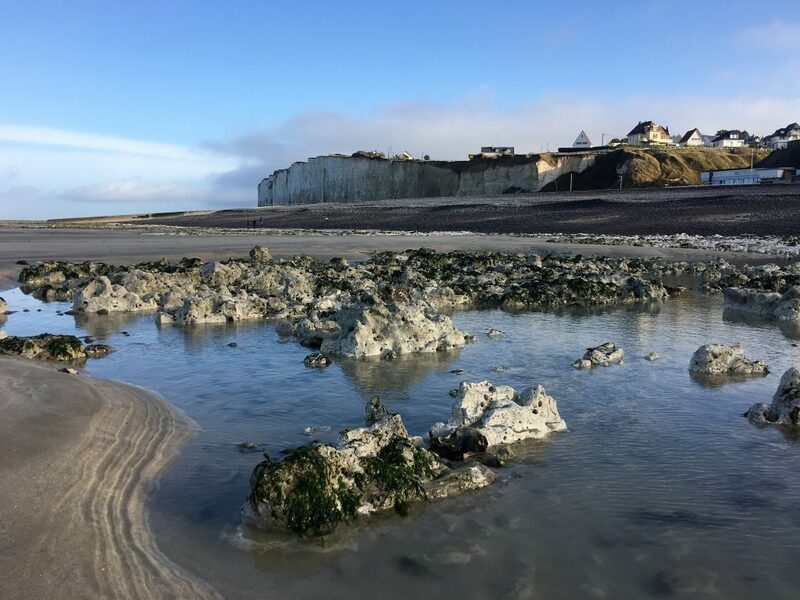 Until we did a bit of research we hadn’t known that the coast of Normandy mirrors this geology; a long string of white cliffs, including the highest chalk cliffs in Europe, with coastal towns and villages in the eroded valleys. 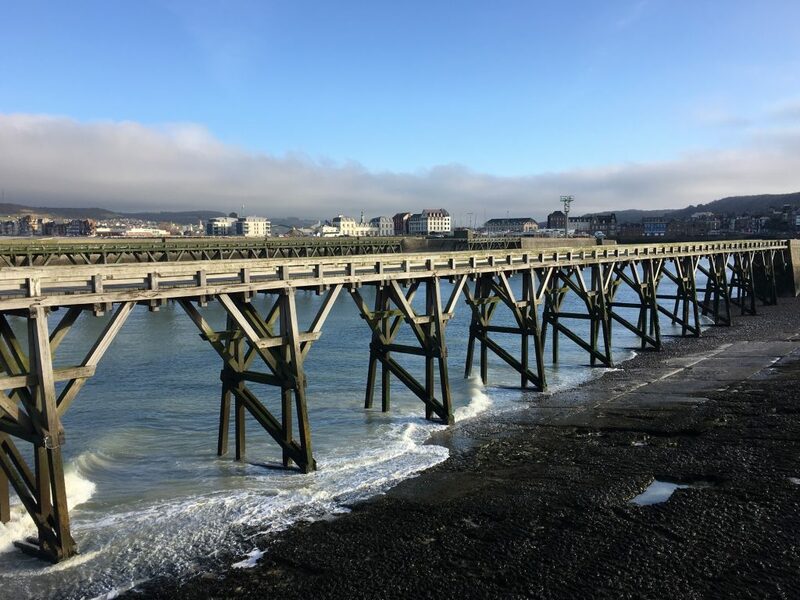 Our next stop was Le Tréport a town along this stretch of coast, divided from the neighbouring resort of Mers-les-Bains by the river and it’s busy working harbour. The aire here was again paid with welcome electricity. The cold was still pervasive but the sun was shining and the daytime temperatures forecast to get above zero, so we stayed here for two days to walk the cliffs. We walked south on the first day, declining to take the free funicular and instead heading up the many steps from the town to ascend 98 meters to the top of the cliff (here there is another motorhome parking area, cheaper but without services). We followed the coast path a way before we were directed inland and onto the road, it seems that the coastal erosion here has left the clifftop dangerously undercut. We walked much of the way to Criel Plage along this rather boring stretch of road. On the way back we did cut back to the cliff top path, skirting the areas that looked most unsafe and enjoying better views. 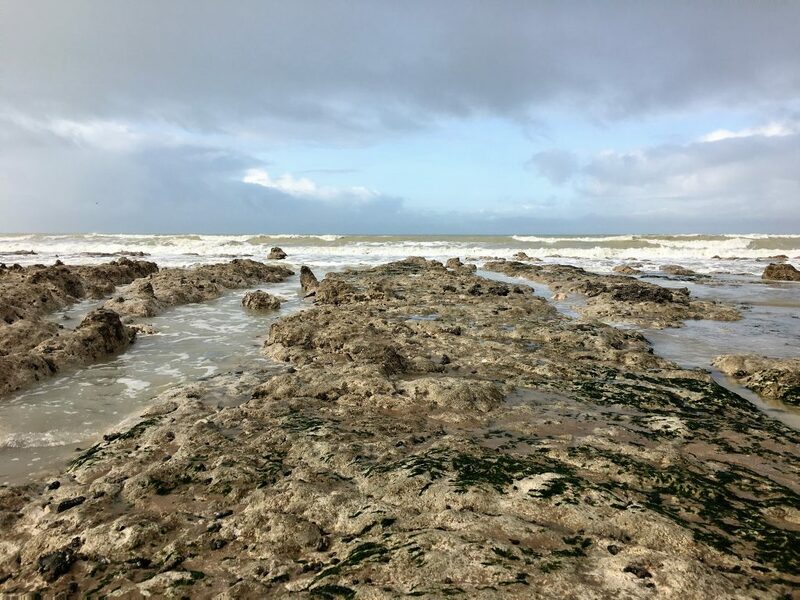 At Criel Plage we wandered down onto the beach with it’s sea sculpted pavements of chalk that were slowly releasing veins of hard flint pebbles. 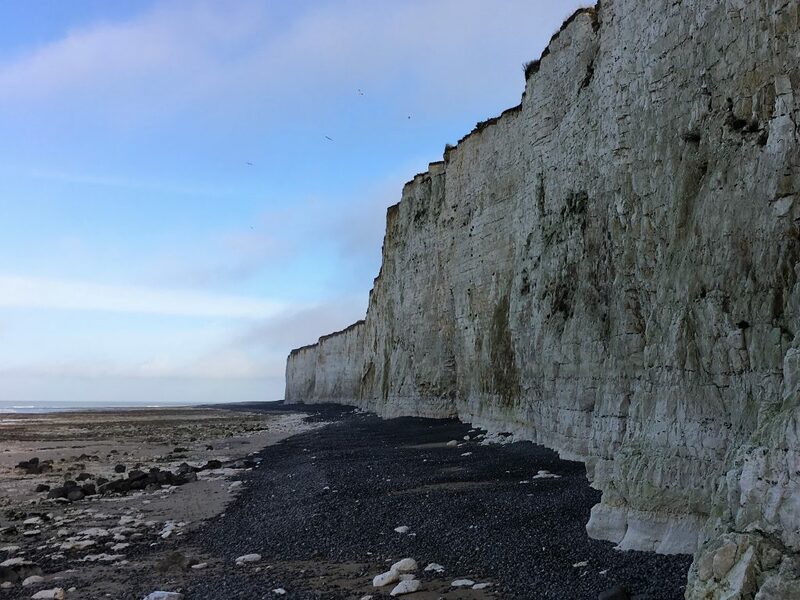 The low winter light and the stark white cliffs gave everything a monochrome and otherworldly air. 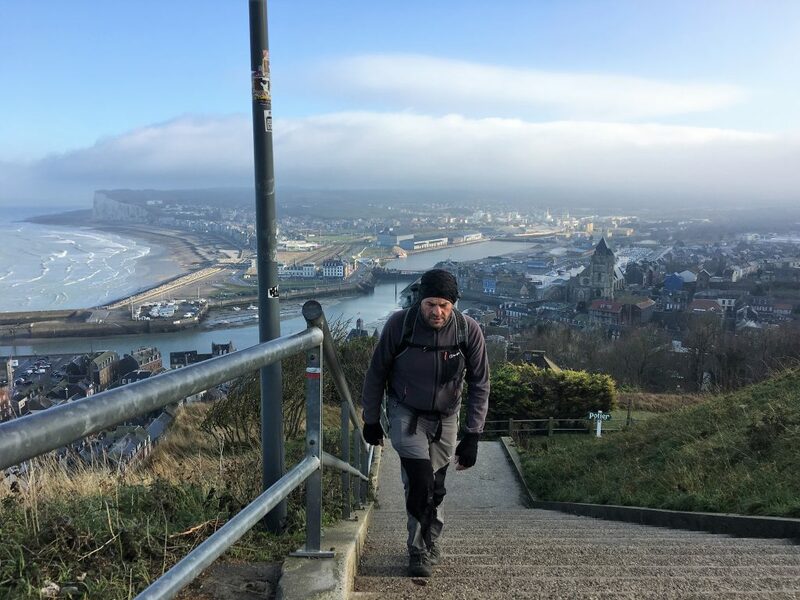 We took the modern funicular down the cliffs on the way back and followed the promenade to the lighthouse and harbour area with it’s long wooden piers, putting the uglier modern developments at our backs and instead enjoying the views of the sea and the crashing of the waves. 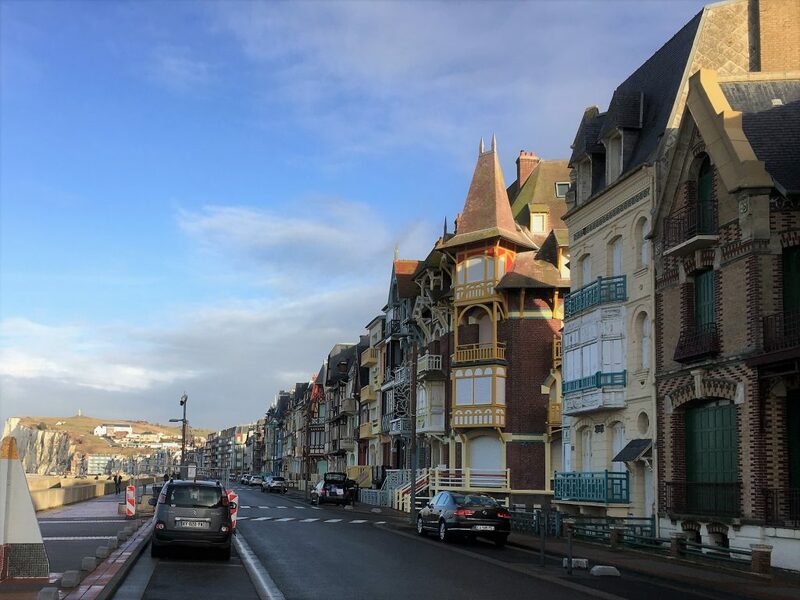 The following day we walked in the other direction, crossing the river and canal to Mers-les-Bains where the elegant Belle Epoch seafront provided a sharp contrast to Le Treport’s utilitarian architecture. We climbed out of the northern end of the seafront and up onto cliffs again. The path north was still subject to deviations inland, avoiding unsafe areas, but there was no dull road in this direction. The route was more undulating with several shallow valleys that would, in thousands of years, be eroded all the way down to sea level. One of these valleys was so steep sided that it was a bit of a challenge for us to descend, with slippery mud underfoot we rushed down it’s side hoping that momentum would keep us upright. 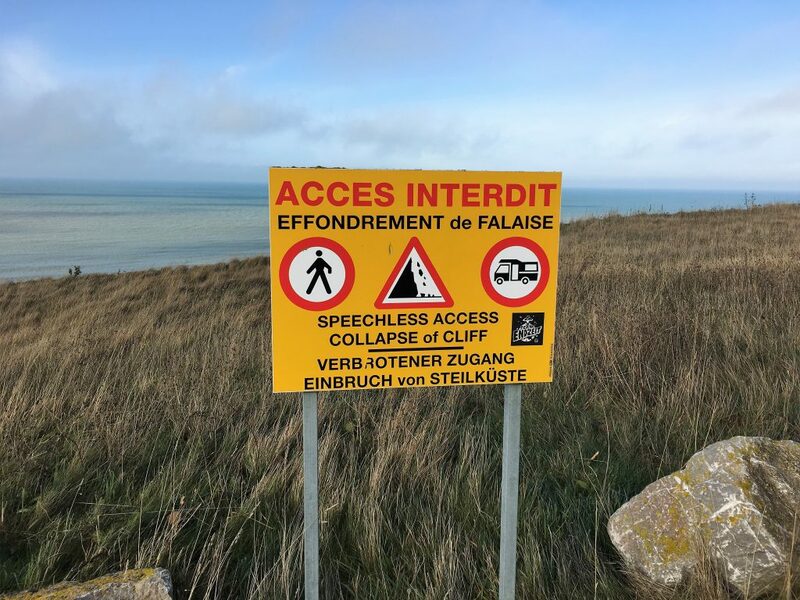 We we’re heading for the seaside town of Ault, but rain stopped play when we reached the hamlet of Boi de Cise. Luckily there was a pavilion here for us to take shelter as the rain hammered down violently for a few minutes. We used the table for a picnic and were happy to find public toilets. An inspection of the sky told us that more showers were quite likely and we determined that this pretty and upmarket resort of Art Deco era villas nestled in a wooded valley around a park would be our terminus for this walk. The sea can be reached here by descending some steps down the rather unstable looking cliff. 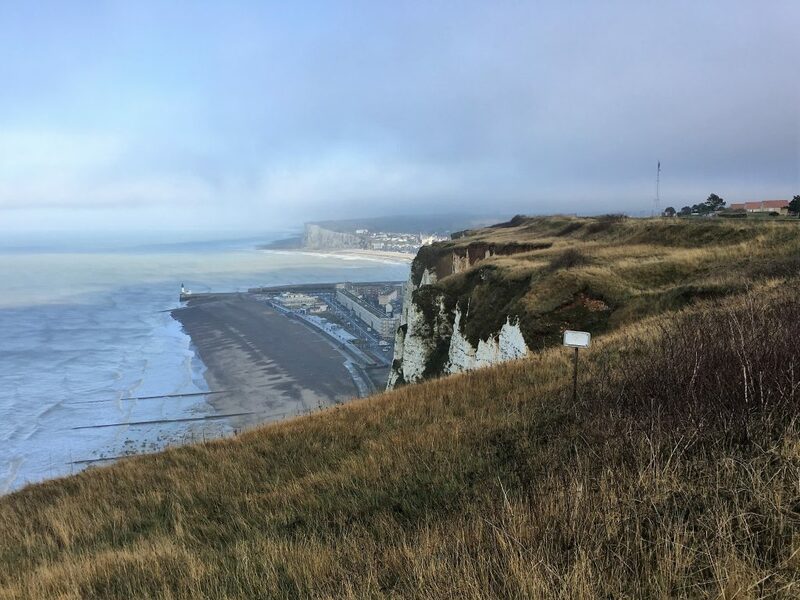 So we had another wander along the shore before ascending the cliff and making our way back to Le Tréport. As we walked we looked for seals, a sign in Bois de Cise had explained that seals pup in the area. Sadly we saw nothing but sea birds wheeling overhead and diving into the waves.